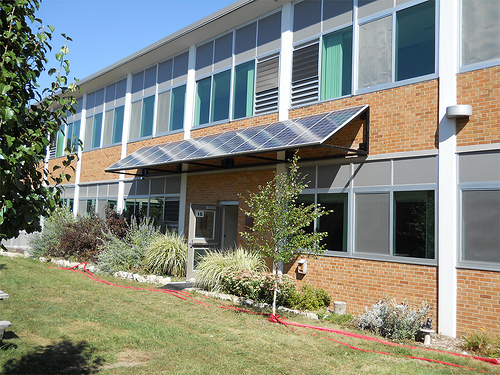 Following the completion of a renovation of the school in 2006, Allen Park Middle School’s students, staff, and community members expressed that green initiatives were going to be made a priority. Along with their installation of low-flow water fixtures and energy efficient light fixtures, they have also developed a courtyard that showcases conservation and the use of recycling materials. They are proud to now display a solar pavilion. Since monitoring began 10/26/2010, this system has generated 18,347 kilowatt hours of clean energy.